After only a year in service, Sony Computer Entertainment Europe is pulling the plug on its Go!Messenger service, which brought video and voice chat to PSP owners throughout Europe. 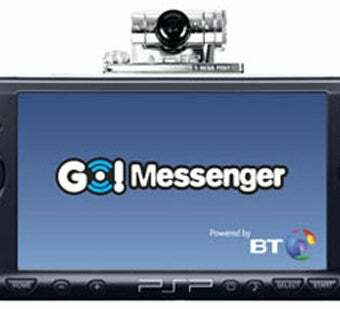 The Go!Messenger service was a joint effort between SCEE and wireless network operator BT to bring instant messaging, voice calls, and video conferencing to the PSP in Europe. Announced back at the Leipzig Games Convention in 2007, the service has apparently failed to garner the following Sony expected, resulting in its shutdown come March 31st, as confirmed by Edge Online. "We'd like to thank all fans of Go!Messenger and are sorry to have to make this announcement." There is good news! SCEE didn't have to fire anyone to shutdown the service, which is nice, and they plan on providing further services that utilize the Go!Cam peripheral that enabled video chat functionality, so folks won't be stuck with a useless peripheral for long. Rest in peace, little bad idea.